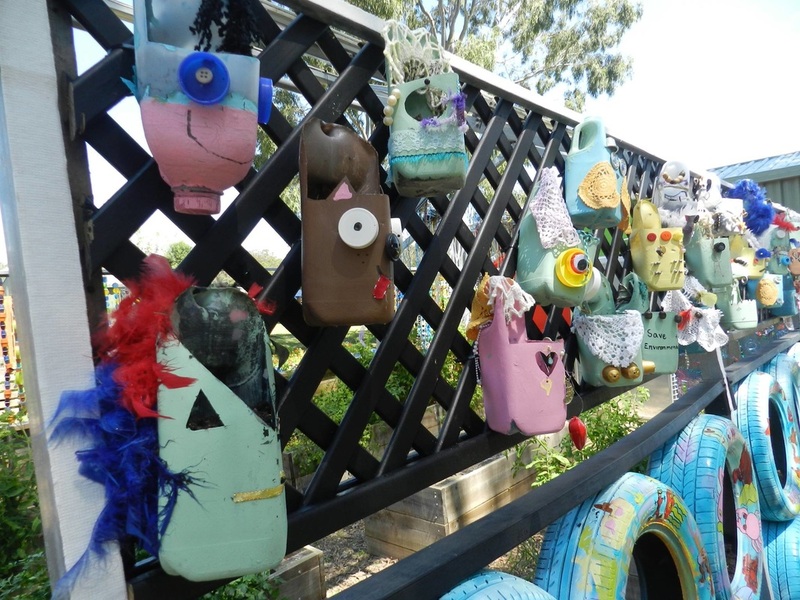 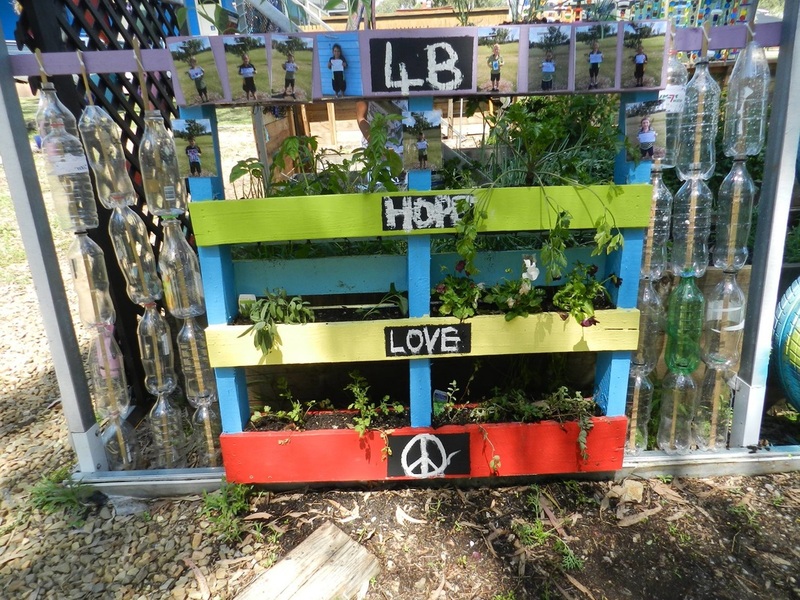 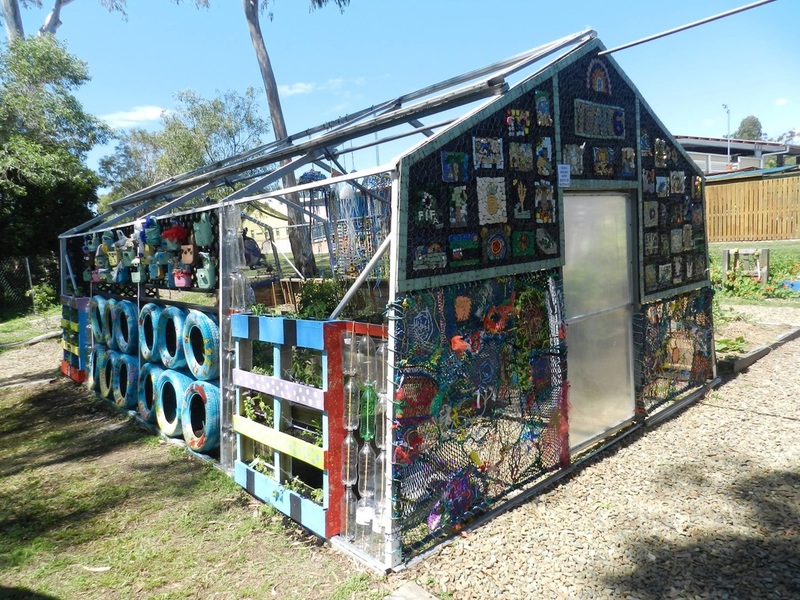 The Creative Recycling Centre joined together with the staff and students of St Francis School to give the School’s greenhouse a makeover during Term 3 2016. 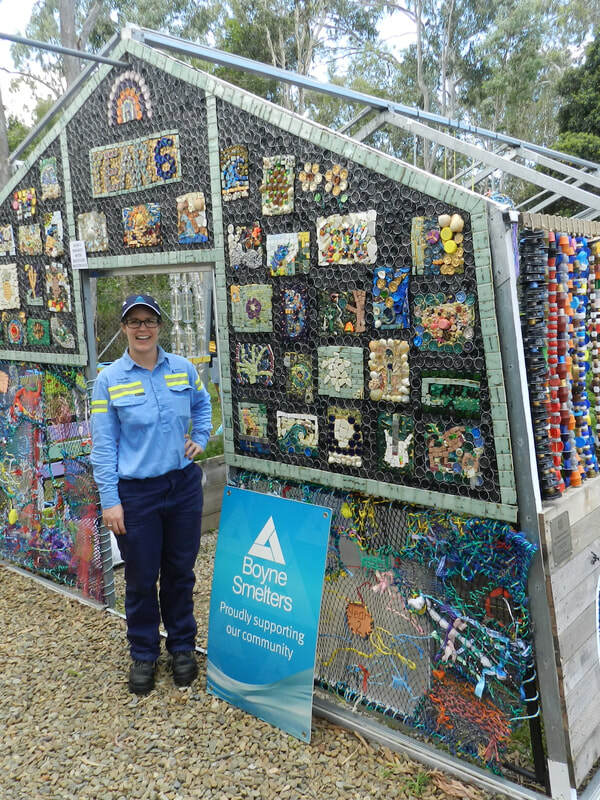 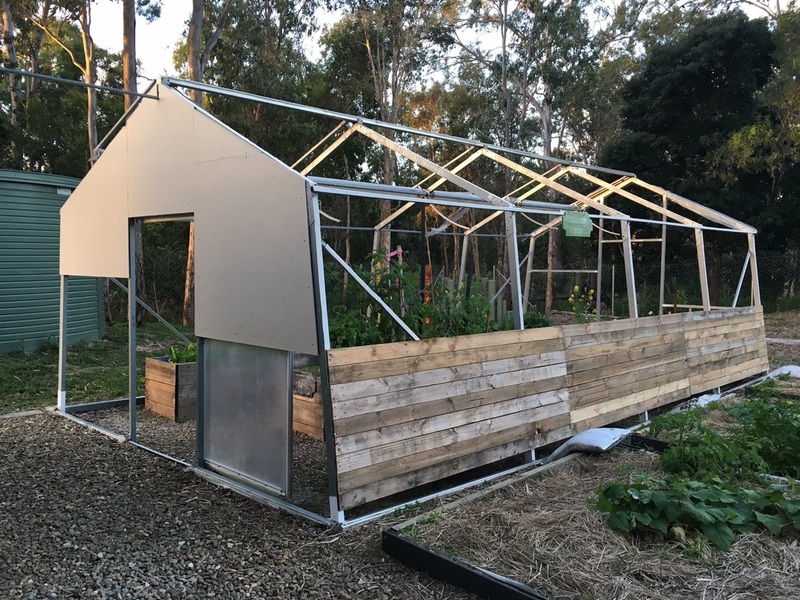 With a funding grant from Boyne Smelters Ltd’s Building School Legacies program, the CRC worked with every class in the school to re-clad the greenhouse using recycled and re-purposed materials – all materials that would otherwise end up in landfill. 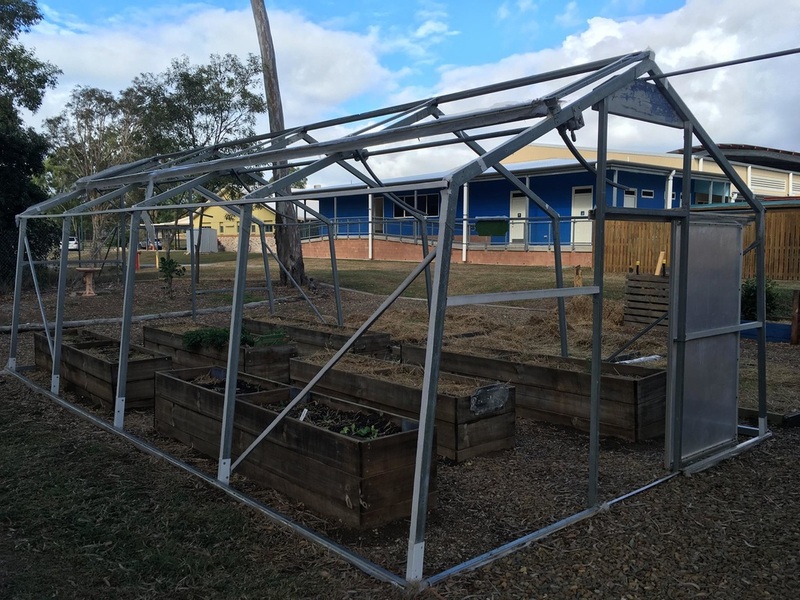 The CRC was able to work with the different themes that each class was studying during the term, working across the curriculum to include sustainability learning outcomes. For example, the Year One classes were studying Eric Carle, author of the popular children’s book The Very Hungry Caterpillar. 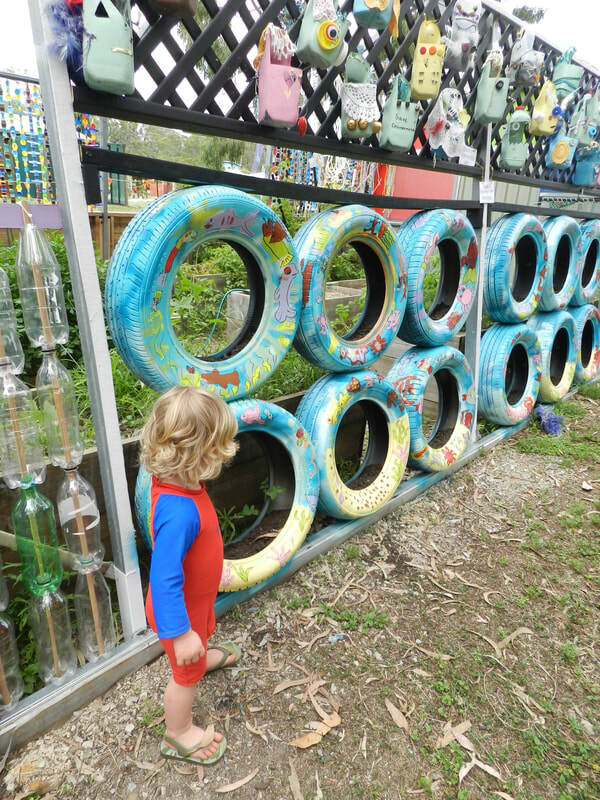 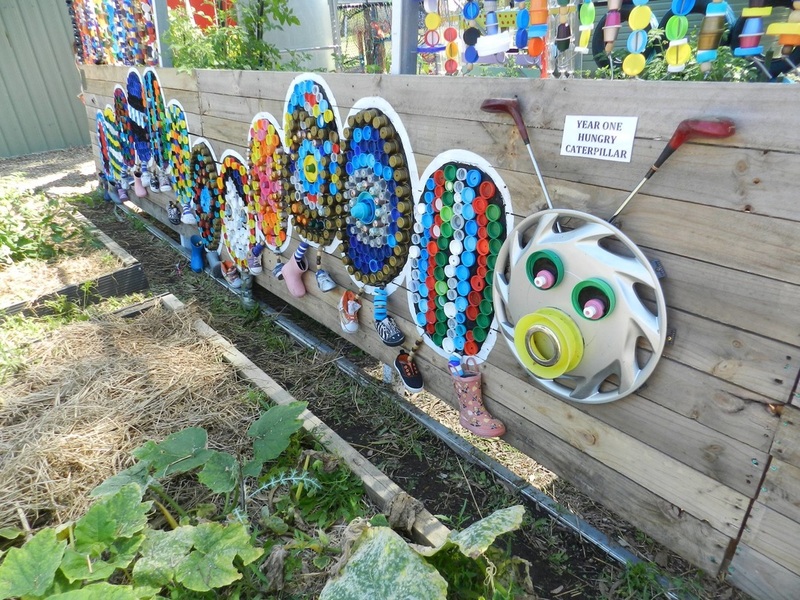 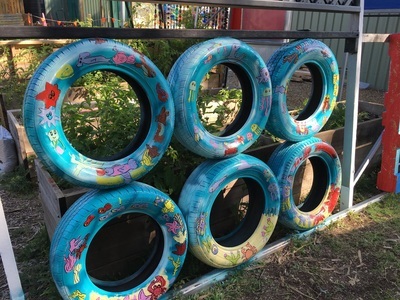 The CRC came up with a creative way to incorporate this learning theme with the classes’ creative contribution to the Greenhouse project – and The Very Hungry Caterpillar pallet wall was born! 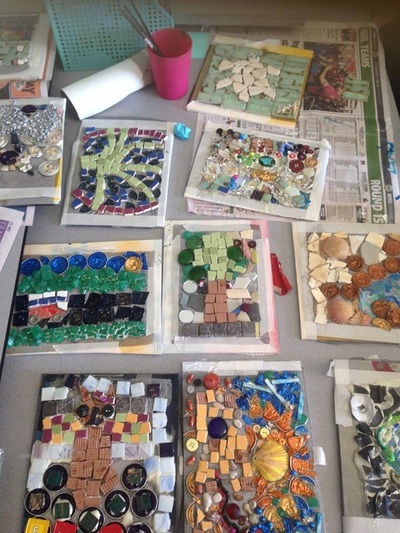 The CRC was privileged to have some very talented local artists contribute to the project, working with individual classes on their artistic contributions. Julie Miers (artistic coordinator) and Christine Holden (weaving artist) contributed many hours and brought immense value to the overall finished product as well as to the learning outcomes for the students of St Francis School. 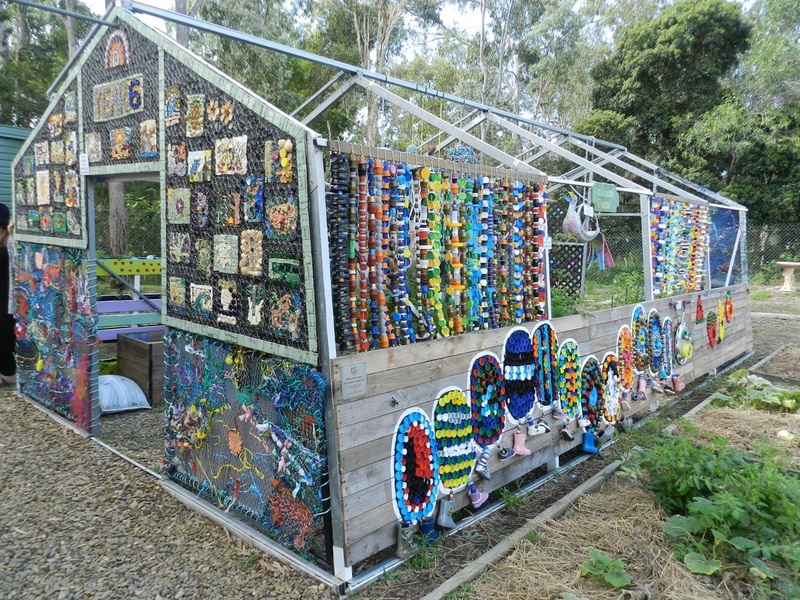 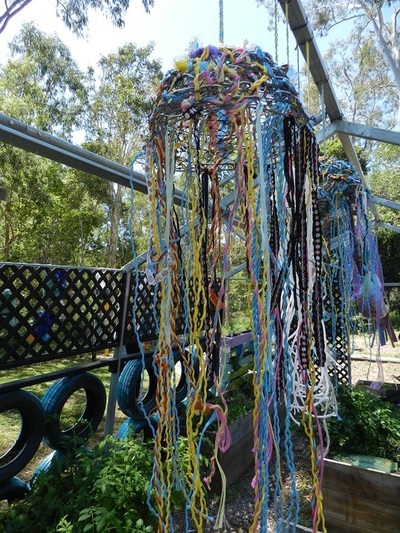 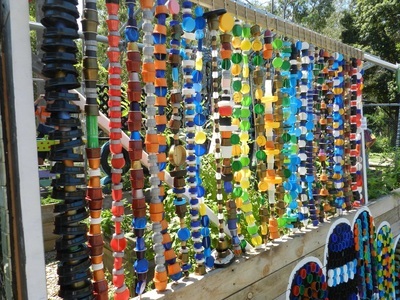 The School ended up with a colourful, creative and sustainable greenhouse showcasing the principles of Reduce, Reuse, Recycle, creating a greenhouse space conducive to growing fruit and vegetables year-round. 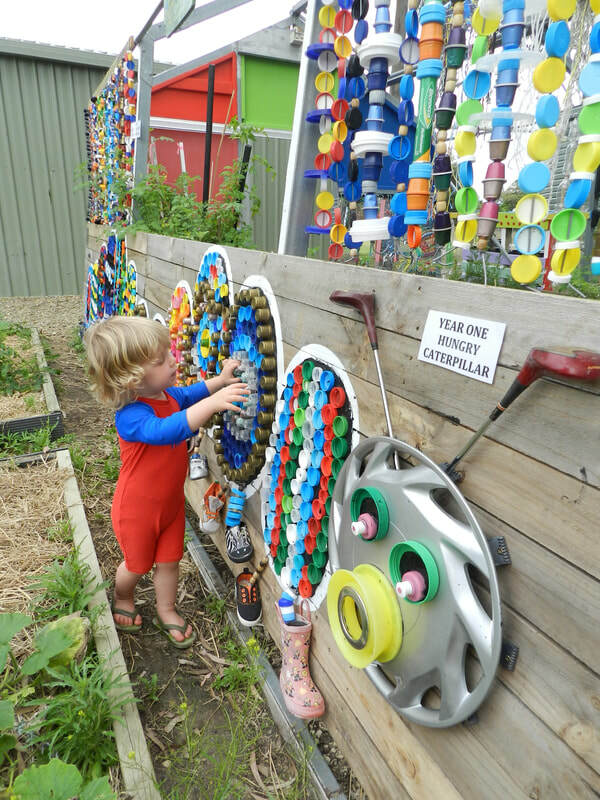 The Creative Recycling Centre would like to thank all the amazing volunteers who gave over 260 hours of their time to the project! 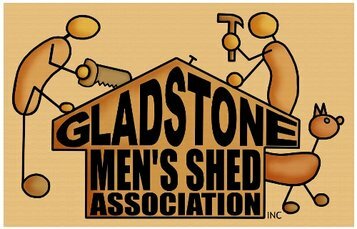 Thank you also to Calliope Pony Club and NewPrint in Gladstone for donating materials for the project and, of course, Boyne Smelters Ltd for making the project possible through their funding grant. 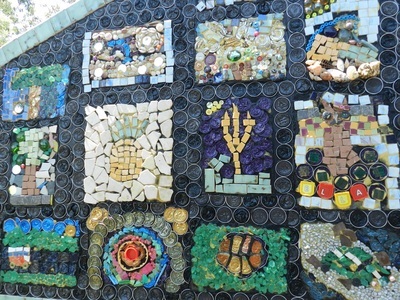 to stick the mosaics too. 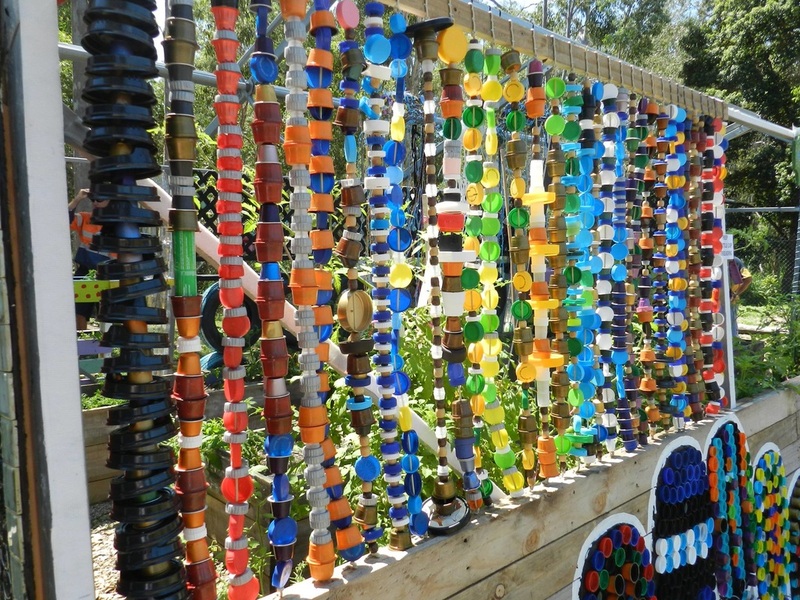 glass, etc. 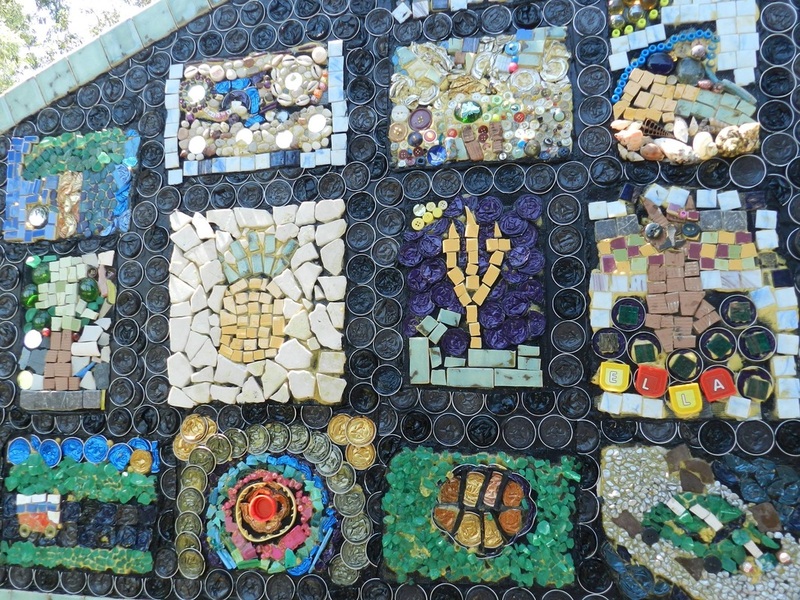 of bottle,beads, etc students out of coffee pods, tiles, debis class to depict the Great Barrier Reef.